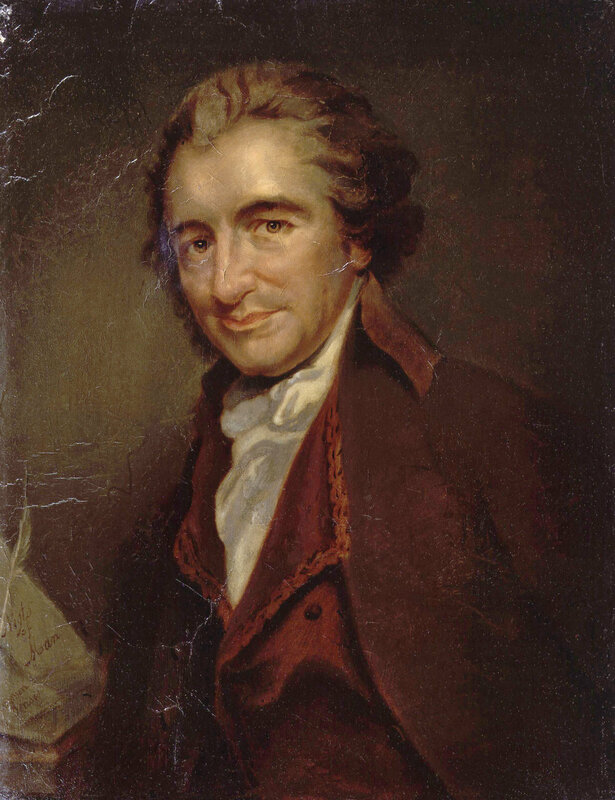 In the spirit of Thomas Paine's Agrarian Justice I would like to offer a simple proposition for artists who wish to redress problems in the art world that arise from rampant economic inequality and the insidious social tendrils that form to reinforce it. The distortions apparent in art market protocols for exchange are currently being discussed publicly, by critics (e.g., Jerry Saltz) and in art press (e.g., artnet). Over the past decade, as a collateral condition of general trends, a few powerful players have quickly consolidated inordinately dominant positions in vital nodes of what we can identify as the art ecology. As a result, significant portions of the art market have withered. Many institutional models for broad provision of access to art are threatened. The livelihoods of artists, dealers, administrators and suppliers are disappearing or substantially diminishing. It is not arguable that the quality of art is improving in this scenario. It is not. Certainly the prevalence of opportunity for art world players is being channeled bottom to top, and the effects are only beneficial to a fraction of participants. Art has folded into monopoly capitalism on a global scale. If you believe as I do, that the status quo is unhealthy for democracy, and the art and artists who thrive in a healthy democratic society, then we must develop dimensional solutions to the current problem. These solutions may or may not apply to other disciplines and industries being deeply impacted by the consolidation of power and wealth we have witnessed. My proposal starts with the artist and is contractual in nature. Even though Paine's Agrarian Justice is predicated on a definition of property that distinguishes the natural and artificial, its focus (on pensions derived from land holdings) can be amended and ought to be reconsidered for implementation in the art market. In short Art occupies a special territory in human society, in that it spans both natural and artificial on many levels. The production of paintings, sculpture and sketches is evident from pre-history through the present, and as such can be defined as a basic human occupation or function, with many variations. Given its transcendence of the binary (natural v. artificial), art lends itself to innovative solutions to flaws in property regimes, especially those that exploit and extract immaterial or artificial benefits from natural resources. My proposal suggests that the key to solving the radical redistribution of benefits from art is located in the artist-created object at the point of transferring ownership from the creator to the purchaser. The solution takes the form of a stipulated agreement, and enforces a future action upon the purchaser or his agent(s). I propose that the artist will only sell her art object to a purchaser who is willing to follow a protocol for redistributing the art purchased (recycling it into a common property regime), or paying a fee for the retention of the art over a reasonable, appropriate, designated time-frame. That fee for retention can subsequently be invested in the art ecology+economy, which can be summarily defined as costs for art production and conservation among the community of identifiable artists, organizations, schools, etc., whose existence assures the progressive development of artistic excellence, which is of clear value to a healthy democracy. The purchaser may thereby enjoy personally the benefits of possessing a particular art object for the duration of his life. At such time that the purchaser dies, the art can be either retained by his heirs for the proportional fee based on the value of the object, or donate it to a reliable public art institution for presentation and conservation. The proposal at this stage is only a sketch. The program can be refined in great detail. For instance, a system by which the art object is transferred to an institution can be made into a very effective mechanism for "spreading the wealth" of art equally across the country. Simultaneously, it can be programmed to disperse art locally>nationally via concentric mapping and other design tools that monitor the distributions of art among communities. The overarching goal is to serve all communities by adding art to their portfolio of common assets. This system obviates reliance on top-down philanthropy. All art exchanged between artist and purchaser will be inducted into the program, and a registry of art can be cultivated to document and follow the trajectories of individual artworks over time. The art database becomes a shared archive and history of the flow of art through the society. Researching the contents of the database yields a profile of the art preferences of the society over time. Clearly, this proposal suggests that the cultural practices of the society can be productively directed toward a sustainable, democratic model that dramatically redefines a future art economy. For example, the programs sketched above can productively employ many citizens, on a local to national basis. Attribution of recognition for contributions to the program (for artists, purchasers, mediators/facilitators, presenters/conservators, administrators, technicians, etc.) is a programmatic corollary. So is a system of rewards to encourage advocacy beyond participation. Art, after all, provides a formal link to the intangible, and good feeling is the sort of intangible that reinforces sustainable support. To reiterate, the point of origination in this visionary scheme is the contractual exchange between artist and purchaser. To begin, it is up to the artist to demand the condition for completion of the transference of the object between artist and purchaser, and the purchaser must be willing to comply. Change begins as a simple agreement between two parties. I hope to have a prototype contract ready in the not-to-distant future. I invite feedback on the proposal.